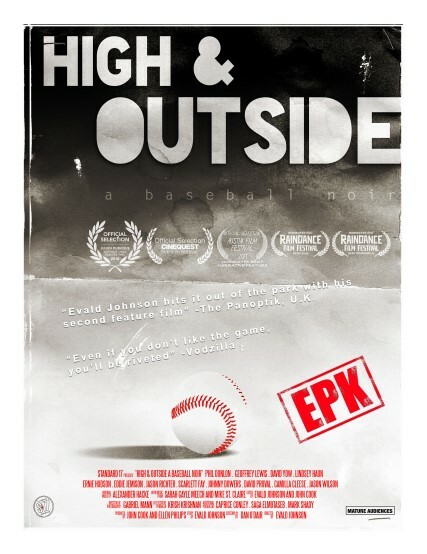 A minor league baseball player refuses to believe his career is over and takes desperate measures to keep his dream alive. Phil is a man obsessed with the game of baseball — the sounds of it, the smells of it, the feel of the bat on the ball, and the men who have made the game great. It’s been in his blood since the day he was born to Len Harding, legend in the game. Baseball is his life. At least it used to be. At 33, Phil is still trying to make it to the big leagues and escape the shadow of his famous and domineering father. But his marriage is falling apart, he’s broke, and he has just been released by the last team he thought could give him a shot at the bigs. Everyone is telling Phil that his time on the field is over: His agent Benny tells him that, his best friend Johnny tells him that, and even his father tells him that. But Phil’s not ready to quit yet, so when Benny tells him of a development camp that just might get him noticed by some major league scouts, Phil jumps at the chance. The only problem is the camp will cost Phil nearly four thousand dollars that Phil doesnt have. When Len refuses to give his son the money, Phil goes on a drug-fueled quest to raise the cash by whatever means necessary. Navigating his way through the dive bars, pawn shops and strip clubs of L.A.’s San Fernando Valley, he’s out to prove he’s his own man and keep his dream alive. But when the darkness takes hold, it won’t willingly let go, and Phil must fight an army of his own demons just to make it out alive.